For our last DragonCon interview, we have Alex Brown. Alex is the sole male plus-size cosplayer I interviewed but how could I not with his Tiger cosplay from the anime My Hero Academia. And he rocked it. 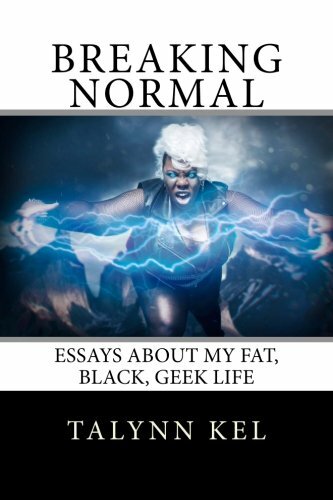 We take a time out from DragonCon to talk about body image, cosplaying while Black, and cosplaying while fat. The consensus is that even though people have no problem telling you all the reasons you shouldn’t cosplay certain characters, ultimately you decide if that changes your decision. Do your thing. Be yourself. You’ve heard me say it. Now hear Alex’s take on it. And there you have it, the last interview for season on of Time Out with TaLynn Kel. That doesn’t mean we aren’t coming back next season with more interviews and more cosplay, but it’s good to take a bit of a break. Thank you for watching and check back, because we have new content scheduled in January for season two! Happy holidays!! !